An expedition of daunting magnitude, a time frame of eight years, this is a story that will inspire a generation of people who are already beginning to make their way into the wild, to venture even further, to worry less and rage against the limitations they have bound themselves in. Twenty nine year old Angelo Wilkie-Page’s is soon to embark on an expedition to circumnavigate the globe from East to West and Pole to Pole, crossing all lines of latitude and longitude, using only human power. I got the opportunity to ask him a few question before he sets off on Expedition 720° in just over a month’s time. 1. Eight years without a home, without staying still, without your family and friends around you. Is that an issue for you or are you looking forward to that escape? Fortunately this is not a non-stop circumnavigation. 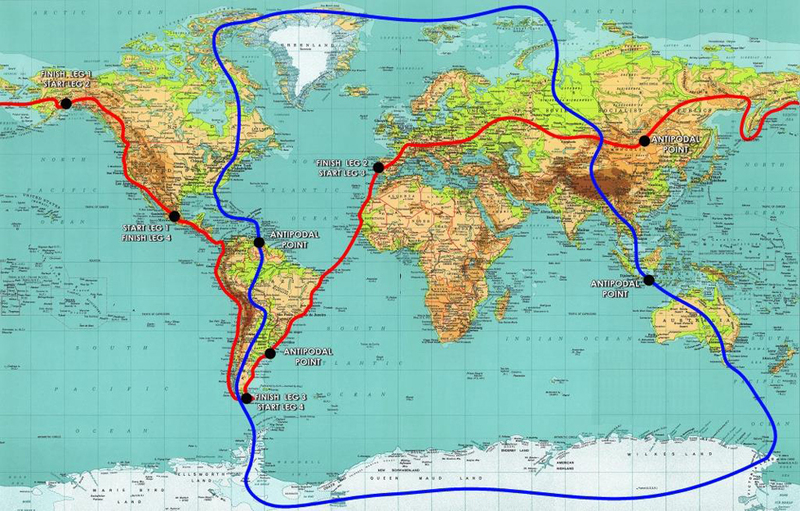 The route is designed in 2 parts east to west and pole-to-pole, each part is broken up into 4 legs. I have no problem spending time on my own; in fact I enjoy it. I’m not married and don’t have kids. If I did have children I don’t think that I would attempt a project of this nature. I am looking forward to physically starting Expedition 720°. 2.You are 29 years old, what makes now the right time to embark on something like this? I would say now is the right time for me personally at 29, as all my life experiences have led and partly prepared me for this expedition. I don’t think I would have been ready for this 3 years ago, and I don’t want to leave it till later in life. The timing is right for it now. 3. How is your head dealing with the sheer scale of the expedition? How will you keep your mind in check so as not to become overwhelmed? I only concentrate on the stage or leg ahead of me; there is no point stressing about leg 6 when I’m on leg 1. I feel it’s important to be adaptable, as there are some many outside factors that can influence the expedition. Best thing I find is to look a few steps ahead but focus on the present. 4.The expedition will require a lot of equipment for it’s different stages, will it all be pre set up (boat, bike etc)? Each leg is very unique and equipment will adapt as per individual leg requirements. At this point I am fully equipped for the first cycle leg from Los Angeles to Anchorage, but I will use a different bike setup for Siberia and Mongolia. 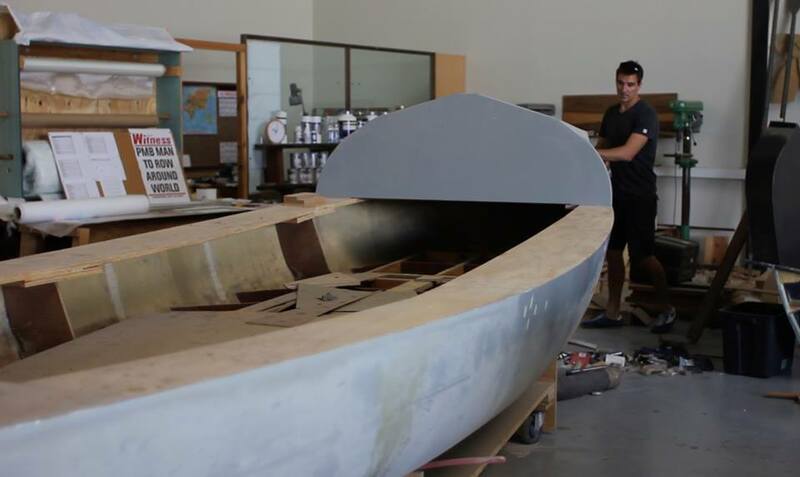 The Atlantic rowing boat is currently being constructed, along with the ocean kayak that will be used for the Bearing straight crossing. 5. Aside from raising money for charity and conducting research, what is your motivation for doing this? Have you never found something to hold you in the 9-5 world? I worked as a commodities trader for three years before leaving to work in the yachting industry. I can’t see myself going back to a corporate 9-5. Attempting a project of this magnitude one needs to be 100% committed, I can’t have any doubts about going to back to corporate. Expedition 720° is my 9-5! I’m all in. 6. I know this is a childish question but will it be any fun or all hard grit? I hope it will be more fun than hard grit, I expect to meet, see and experience some wonderful people and places along the route. I will make sure to take time out for enjoyment and the odd beer. It’s a once in a lifetime expedition, doing what I love so to answer your question more fun than hard grit. 7. With it been a world first, is failure something you’ve considered? I have been told that I can be rather stubborn, I don’t give up easily. The thing about an expedition of this nature is that there are so many external elements that could play a role in the success or failure of the expedition. Elements such as shifting ice, rough waves, being hit by a car, visa’s, consistent campaigning, extreme weather conditions, health these are a few factors that could get in the way of the project. My strategy is to complete one kilometer at a time and be as safe as possible. 8. The expedition could take up to eight years, that means you will be 38 when you finish. I know I am getting ahead of myself here but have you considered how will you adjust to normal life after that? If I complete this project I would have achieved a lifelong dream. Ill cross that bridge when the time comes. Adjusting I’m sure would not be easy and might take a while. Follow every step of Wilkie-Page’s expedition on his website, Facebook or Twitter page.